My wife and I recently attended Experts Academy and I was surprised by the number of coaches in the room. A lot of people were calling themselves a coach and some of them were just starting. When I first got into coaching back in 1995 I was the only Canadian coach in the ICF. The Americans decided that coaching needed to have some form of organization and certified training since law suits were running rampant throughout the industry and those with professional credentials resented that fact that coaches were basically unregistered and that anyone could call themselves a coach. So 25 odd years later we have more coaches than ever before. I call myself the Marketing Coach since I felt I have earned the right to say so with my 30 odd years experience in advertising, sales and marketing. 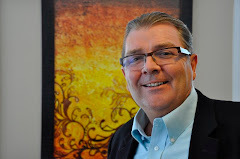 I have owned two marketing companies and built another family run enterprise in marketing and it is still one of Ottawa's largest and most successful advertising and marketing companies. The key to coaching I think, is the experience someone has. I have a post graduate degree in marketing which is good, but the real experience I can provide is being in the trenches and fighting a good marketing battle for a variety of clients including, government, retailers, advertisers, B2B, consulting companies, trade shows and special events, non-profit organizations and specialized and branded retail products. The key to hiring a good associate and someone that is going to make a difference in your business life is empathy. A good coach needs a sharp sword, a sense of purpose, a better understanding about the real world they are working in and a deeply rooted knowledge about the customer, client or purchaser. He /she needs to fully understand what makes a customer tick. He /She also needs to know what to do with a client and how to help. A good coach listens, advises, consults, reacts, takes some risks and pushes the client towards developing a strong sense of purpose on the way to achieving their revenue or sales target. Next time your company needs the advice of a third-party to give advice in the marketing area remember what it takes to be a good coach. A marketing coach should have been in the battle, understand the needs of the marketplace, the needs of the client and the needs of the customer purchasing the product. Its part brain power, part knowing, part research and part risk taking. Marketing is the biggest cost any firm makes in regards to actual expenditures and therefore a good ROI model should be developed well in advance of going into battle. In a market where traditional and social media collide, its important for a client to better understand who is on his side. Too often the trusted agency is working for the agency, while the coach is always dedicated to bringing out the best for the client. A coach or a trainer is that beacon who will steer the ship to the shore amidst all the unrest prevailing in the sea. A professional speaker, a business inspirational speaker, sales & marketing coach, sales training coach, teacher at the school etc. are the pillars who have been the support for aspiring learners to learn and perform. This is a very nice blog, thanks for writing & sharing with us.